For some, Christmas planning and decorating starts on the first day of December, or exactly 12 days before Christmas Day for luck. For others, those dates fly out of the window, and money comes out of their wallets way before the minus temperatures hit and Michael Bublé takes over the radio. Not just the leader of Christmas adverts, but also the leader of Christmas homeware in our eyes, John Lewis & Partners has all you need for stress-free Christmas planning, and with their Never Knowingly Undersold policy, it’s the only place to shop if you want to save a few pennies. Whether you prefer shopping in-store or online, John Lewis & Partners have it all under one roof, and they offer free standard delivery on orders over £50. To ensure the two most used rooms at Christmas are up to scratch, why not give them a little refresh? 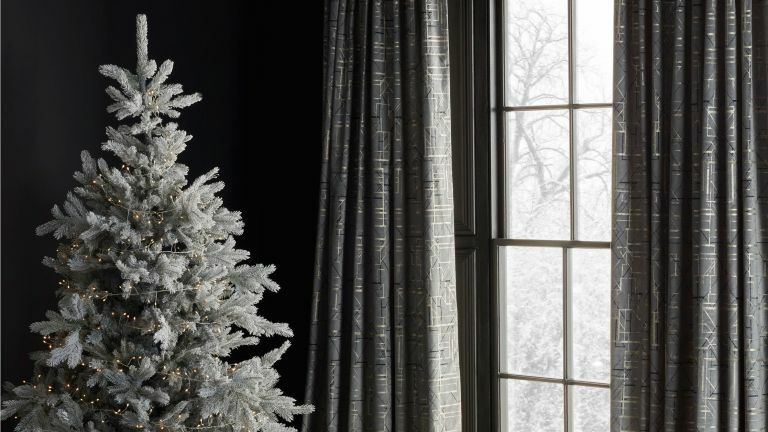 Whether it be adding a comfy arm chair next to the Christmas tree for grandma to sit in, buying new made-to-measure curtains or creating your very own upholstery to fit in with your decor, there’s a huge array of fabrics and types to choose from. Occasional chairs, L-shaped sofas or even love seats; you name it, they’ve got it. To ensure you get your bespoke design in time for Christmas, put your orders in for leather upholstery by 13 October, for fabric, by the 27 October, and furniture items by 14 December. Pretty much a given, but no house is complete during Christmas time without a tree and a few decorations. To make it easier when choosing your theme, there’s a selection to choose from, including: amber, emerald, gold, jet, moonstone and sapphire. Our favourite is Moonstone, as it makes us feel all of those Scandinavian vibes. Christmas decor shopping doesn’t stop there as their light selection is huge, and includes everything from outside light ornaments to tree lights. Everyone needs a little help around the home, Christmas or not, and what better help than someone who won’t talk back to you, and will do exactly what you ask? Smart home gadgets are taking over household to household in the UK; whether it’s an Alexa to help with your to-do lists, a smart doorbell so you don’t miss important Christmas present deliveries or a smart thermostat to ensure you never enter a freezing cold home again, John Lewis & Partners stock everything under one roof to make things easier. Sleeping a few extra heads this Christmas? It happens every year. If you don’t find yourself being a host any other time of the year, it’s not worth splurging on a guest bed, especially if you don’t have the space. So why not purchase a sofa bed? Choose one which not only looks the part, but is comfortable too. And don’t forget to purchase extra towels and bedding. Why not choose the Egyptian cotton ones to really impress guests? They’re available in every size you could imagine, and colour! Decorate your table with plenty of sparkles and mistletoe this Christmas to ensure you get the most Instagrammable photos of your food. What better way to jazz up your dining room than with new tableware? Whether you’re on the hunt for new serving plates, champagne flutes or most importantly: a cheese board, there’s a huge range of Christmassy tableware to choose from. So whether your house is minimalistic, traditional, flower-filled or Scandi-inspired, there’s something for everyone. How much could you be getting paid for your Christmas chores?